Authors are required to pay a $500 processing fee. 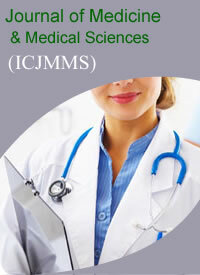 Publication of an article in the Interlink Continental Journal Of Medicine and Medical Sciences (ICJMMS) is not contingent upon the author's ability to pay the charges. Neither is acceptance to pay the processing fee a guarantee that the paper will be accepted for publication. Authors may still request (in advance) that the editorial office waive some of the processing fee under special circumstances.